It’s easy to reach for a bottle of over-the-counter medicine for a quick fix whenever you feel any pain or discomfort. Rather than turning to medication, why not try acupressure? Certain medications come with side effects, and taking too much of them may have adverse effects on your health in the long run. On the other hand, acupressure is easy to pick up, and practical to apply. Used for thousands of years in China, acupressure helps balance the energy in your body to promote wellness and relaxation. Think of acupressure as acupuncture without the needles. 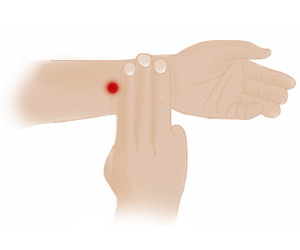 Instead, you stimulate your acupressure points by applying pressure to them using your fingers. This acupoint is found on the highest point of the muscle, when the thumb and index finger are brought together. Massage the web of your first and second finger to stimulate the acupoint. Benefits: Relieves pain and improves circulation. Commonly used for headaches, toothaches, facial pain, and neck pain. *Pregnant women should avoid massaging this acupoint as it can induce labour. Found about three finger-widths below the wrist on your inner forearm, between the two tendons that run down the centre of your forearm. Benefits: Relieves nausea, and calms the mind. Commonly used to treat heart palpitations, stomach pain, nausea, vomiting, insomnia, and dizziness. 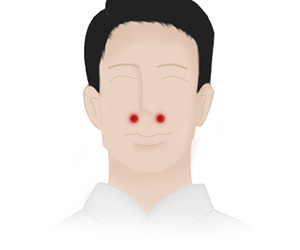 This acupoint is found beside the wing of the nose, at the meeting point with the nasolabial line. Benefits: Opens nasal passages, and dispels Wind. Commonly used to treat nasal congestion, sinus issues, and loss of smell and taste. 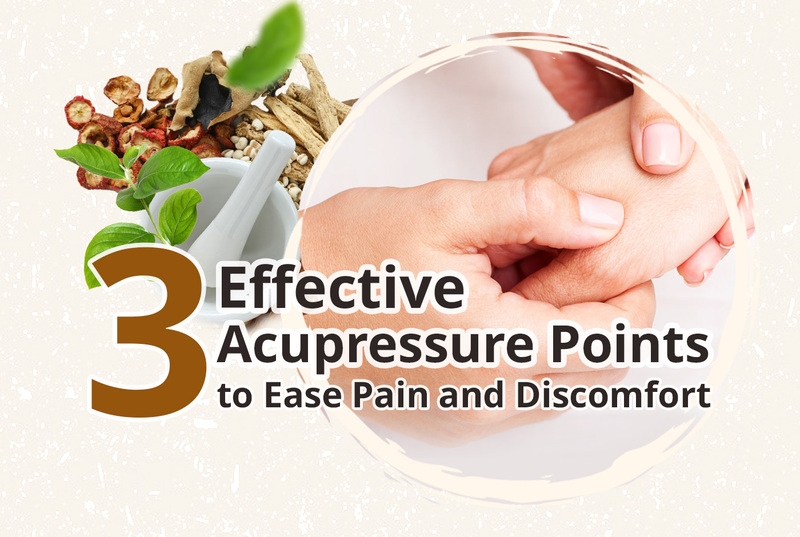 • Apply firm and steady pressure for 1 to 3 minutes to the acupoints. • Breathe deep, gentle breaths while pressing and rubbing the points during the massage. • Repeat as needed for comfort. A caveat before starting on any form of acupressure – if you have any medical condition, check with your doctor or TCM physician in advance if acupressure is safe for you. Acupressure vs. Acupuncture: Which is Better? Compared to acupuncture, which requires a trained TCM physician to perform, acupressure may seem like a cost-effective option that you can do by yourself to get similar results. 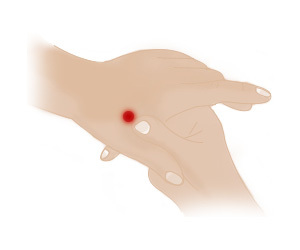 But despite its ease and convenience, acupressure has its limitations: the acupoints are stimulated using pressure, which only makes this technique effective for minor ailments such as headaches, nausea, and sinus pain. On the other hand, acupuncture involves using thin needles to trigger a stronger stimulation across multiple acupoints simultaneously. If you have more complicated conditions such as depression, insomnia, chronic pain, or menstrual cramps, this treatment may be more suitable.